Note: to start the story from the beginning, read the Press Release and then follow the links at the end of every chapter. And thanks for reading! I love your products. I love workshops. I love embossing! And your cat sets are so cute! Catherine is one talented lady. The thing is, though, I am not a huge cat fan. To be honest, they scare the bewanga out of me. 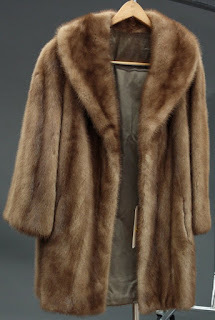 My most recent therapist thinks that cats remind me of the Mink Coat Incident. I almost died one Thanksgiving, when, after a sip of what I thought was cider, I climbed into a dresser drawer to nap and wrapped myself in my Great Aunt Winnie's mink jacket. My stupid brother didn't see me and closed the drawer and walked away. If Great Uncle Walter hadn't heard my fur muffled screams as the dresser fell over, I wouldn't be writing to you today. Every time I see a cat, or think of good old Winnie and Walter, I have Fur Flashbacks. Given my FF disability, I'm writing to ask that GDWS give me cash instead of a cat when I become a TOP THREE demo. I believe that a $5000 award would be appropriate. Please get back to me as soon as possible as I am on fire. I have 3 workshops scheduled and I've only had my starter kit for 2 weeks. ps. my first workshop as a hostess was over $11K!!!!! Thank you for your inquiry and welcome to the GDWS family. Your letter to Mr. Richman has been referred to our Demonstrator Relations Department. That Department will respond to you as soon as possible. We congratulate you on joining our team and wish you much success. While I waited for a response from Demo Relations, I practiced what Gina had taught me about stamping and worked my business, calling and writing folks. If you think you can just sign up, stamp, and sell like a crazy lady, you are wrong. You have to know what you are doing. Gina had come by with another new demo, Susan Raihala, and taught both of us how to stamp ("no twisting!!!!"). Even though she turned out to be a bit of a disappointment in the friendship department, Gina was a stamping pro. She gave us all sorts of tips, like preheating the heat gun so the paper doesn't warp when embossing, and unplugging the gun the second I stop using it. She also had lots of advice on properly cutting paper and she emphasized the importance of putting everything away as soon as I finished a project. Gina's a peach. Not the greatest business woman, so I'm not sure what kind of lawyer she's going to be, but a really nice person. We could have been such good friends. I loved the little get together with Susan and Gina. It's fun spending time with other women and making little crafty things. We even made these tiny little boxes that hold one Hershey Kiss. A sure seller! There was a little bit of an issue when it was time to organize all my supplies. Susan kept insisting that I organize my paper and inks in alphabetical order, but I stood my ground and organized them according to the rainbow. Not sure why she cared so much, because Susan was adament that she would never use any colored card stock or embossing powders. She insisted on using only three things -- white paper, stamps, and ink. "Maybe I'll use bling some day, but no guarantees." I felt kind of sorry for her, but hey, all other demos were now my competition and if little Miss White Card Stock thought she could sell stuff without using embossing powder, good luck sister. Gina mentioned that I might want to get craft furniture for the room, but that might push John over the edge. Speaking of John, I felt guilty about not mentioning the demo thing and finally got around to telling him. "Guess what? I got a job!!" Garrett looked at Buffy and they both looked confused. John responded, "Really? What's this all about?" "Well, you know how I have all this stamping stuff? I love it. I love stamping so much. But it is kind of pricey and I want to earn some money. So, I became a demonstrator for the company." "I'm like an Avon lady except instead of selling lipsticks, I sell stamps and paper and things like that. I already have 3 workshops scheduled. I am so excited!" John smiled and looked at the kids. "Believe it or not, there was a time when women knocked on doors to sell make up to other women." "Well I'm not knocking on any doors, but I will be selling. Not make up, but craft supplies." "What's craft supplies?" Garrett asked. "Pipe cleaners?" "Not exactly pipe cleaners," I said. "It's paper and rubber stamps and ink and stuff to make greeting cards and other fun things. Here's an example." I handed each of them a little box with a Hershey kiss." "You're actually going to try and sell this stuff? PLEASE don't hit up any of my friends' moms. This is so lame." Garrett, on the other hand, grabbed the box, tore it open and popped the kiss in his mouth. "Mom, this is so cool!" "Buffy, stop that talk. This isn't lame. Your mom loves this stuff. I guess it's cute." "Well, this is news. M, what's going on?" "John, kids, I have a plan. I am going to make real money selling these products, and it isn't going to cost a dime. I mean I already bought what I need and from now on it will be all profit. Plus, I'm making ALL our Christmas and birthday cards and party invites, and goodie bags for Garrett's birthday. Trust me, this is going to be fun and profitable! Remember the workshop I had?" "Oh yes, I haven't forgotten about it." "Well, I told you then that I had a plan. And the plan is to sell Get Down with Stampin. I know I'll be good at it. I won't have a lot of workshops here at the house. I already have 3 ladies signed up to host workshops at their houses. They have to supply the food and ice sculptures. All I have to do is show up and demonstrate the products and I'll get a percentage of whatever I sell! This stuff sells itself! Plus if I meet my goal, I'll get a $5000 bonus. Can you believe it?" "Well, it sounds interesting, doesn't it kids? M, let's talk about it after dinner. Hey, Garrett, Mom tells me you won first prize at the Science Fair. That is fantastic!" After dinner, while John was helping me with the dishes, he asked me what it cost to become a demo. "The starter kit was a thousand dollars." There I said it. We were married. We were a team. I'm wasn't going to act like a kid and hide things. "M, I love you. I really do. But we are NOT going to repeat the quilting thing. You spent a fortune on fancy machines and materials and stuff and made exactly zero quilts. Now it is stamping. Enough." "John, I get it. I do and I agree with you. The quilting was an expensive mistake. But stamping is different. There was no future in quilting. I know in my bones that stamping is the new ceramics. It is going to take this country by storm. Yes, it costs money to get started, but I'm not going to be a customer anymore. The spending part is OVER. Why buy the milk when the cow is free?" John shook his head and sighed. "M, you've never sold anything. You've never stamped anything. What makes you think you can make money at this thing?" "Well, John, "this thing" as you put it, is fun. It is fun to make cards. It's creative and relaxing at the same time. And, it is even more fun to make them with friends. I've already met tons of new people stamping. My first workshop sold over 11 thousand dollars, and Gina made most of the profits off that. I want to make the profits. I swear if you show someone embossing, she'll take out her check book and start writing. There must be crack in that stuff. One sniff and you're hooked." And then I added the kicker. I whispered so the kids wouldn't hear. "John, seriously. Most people don't know this, but Barbara Bush stamps. And if the mother of the President of the United States of America stamps, I bet Laura does too. And if they stamp, they'll need a demo. File that!" John said nothing. He put down the dish towel, walked over to our kitchen table, and sat down. Clearly he was impressed. I joined him and handed him the box with the kiss. "Ok, John. I'll make a deal with you. Give me six months and I'll make back all the money I have already put into this. And if I don't, I'll quit. And during that six months I will not spend a dime on stamping." "I want to know exactly how much you've spent so far." Ugh. You know, I loved walking down the aisle. I kicked the wedding dress. But sometimes marriage is one big pain. "Well, I already told you. The starter kit was $1000. The rest had nothing to do with becoming a demo so I'm only counting the $1000." "M, you had a caterer and an ice sculpture. Who buys an ice sculpture to sell Hershey kiss boxes? How much did that cost? How much exactly did that workshop cost?" "John..." I didn't know what to say. Scratch that, I knew exactly what I could say. The workshop cost $8,613.87, not counting the kilt, cashmere sweater, and Ferragamo flats. But really, the workshop had nothing to do with becoming a demo and then there's the whole amortization thing and tax benefits and the amount I made in hostess benefits. I hadn't quite figured out those things yet, but they had to mean something. It would just confuse the situation to give him the actual amount and I didn't want to mislead him. So I decided to just give him the real cost of the workshop minus the amount I was going to save by not having to buy greeting cards, plus a little something for the tax thing. "Ok, it was a lot. I know I went overboard. I spent $885 on the workshop. But..."
John sounded annoyed. There was a whole lot of "working hard" plus "quilting" plus "ice sculpture" plus "college costs." "I'm not Garrett. I'm beginning to resent this." "You want a little business? Fine. If you are going to do this, then set up a separate checking account for your business. No expenditures from our other accounts. None. You spend only what you make." A little business? A little business selling embossing powder to Laura Bush? I actually felt sorry for John. Some people cannot see the future. "Oh John. I'm so glad you understand. That is a great idea! You'll see that this is different. Quilting is so 1990s. Stamping is the future." While I waited to hear from Demonstrator Relations, I practiced my stamping and my embossing and made a note to get a new fire extinguisher. I also worked on my Business Plan. 1. Call everyone who attended my workshop and ask if they need help learning to stamp. Offer to teach for free. Hold classes at night when teachers have nothing else to do. Everyone brings her own supplies! 2. Have lunch with ladies I met at Francie's workshop. Call Francie? Set up NYC branch? 3. First month, get 10 people to hold workshops and get 5 to sign up as demonstrators. 4. Figure out this internet thing. Garrett can explain. Is there anything on the internet about stamping? 5. Invite Barbara Bush to a workshop. Laura?! 6. Make and mail 50 cards. 7. Investigate getting free local cable TV show. 8. Order extra heat guns and embossing powder to give away as prizes. I was still working on my plan when the phone rang. "Hello. This is Catherine Richman from Get Down With Stampin. I'd like to speak to M, please." Next: Chapter 8: "You are something else." Oooh.... every time, just when it is getting really good you make us wait for me. Loving the story, Joan. I hope you have a wonderful week. Oh, this is absolutely nonfiction! It's like reading my diary!! "Organize my paper and inks in alphabetical order" love it, and love that Susan has joined your cast of characters! OK, you've got us hooked... When is the book going to hit shelves? Love it! Your chapters are such fun to read! Haha! Can't wait for more! Hahahahahahaha! Joan, you are the funniest! This just keeps getting better and better! I love it so much! I love the enthusiasm of M! I love the way she thinks because she makes me laugh. That it is a story about crafting is wonderful because I can relate to it and I love that we know who many of the characters are named after. Also, as Idiggs wrote above: "explaining why a Scan n Cut would totally pay for itself because....." is so true! ShaZAM! When will the TV series be out? Who will play you and Gina in the movies? I can't WAIT! Grinning ear to ear, laughing out loud... oh, I'm so enjoying this! You've perfected the art of the cliffhanger, too. Sheesh, I can't wait, but I don't want it to be over, either!